In search of new adventures to try in Dubai? Luckily for us, this is one city where you’ll never run out of options! From soaring past the Burj Khalifa in a sea plane to flying Superman-style through Dubai Marina, here are 5 sky-high air adventures in Dubai that everyone needs to add to their Dubai bucket lists! Ever been on a flying boat? 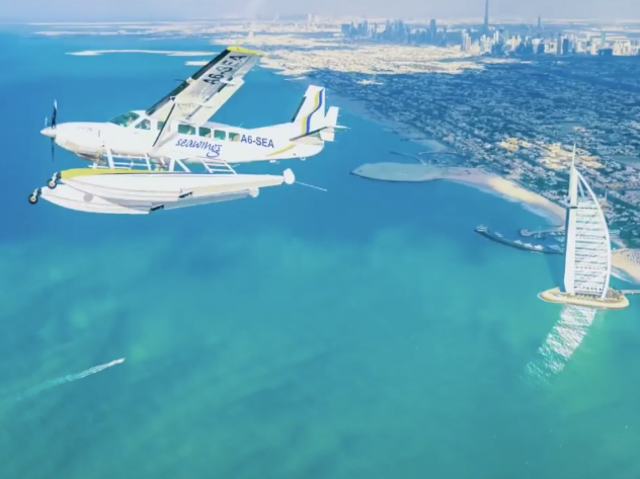 Here’s your chance.. Seawings Dubai is an insanely cool seaplane adventure that sails you across the Dubai Creek, before taking off and flying over the city! On top of the adrenaline-fuelled experience, you’ll be able to enjoy a bird’s eye view of Dubai’s iconic skyline and landmarks, including the World Islands, Burj Khalifa, Burj Al Arab and more. 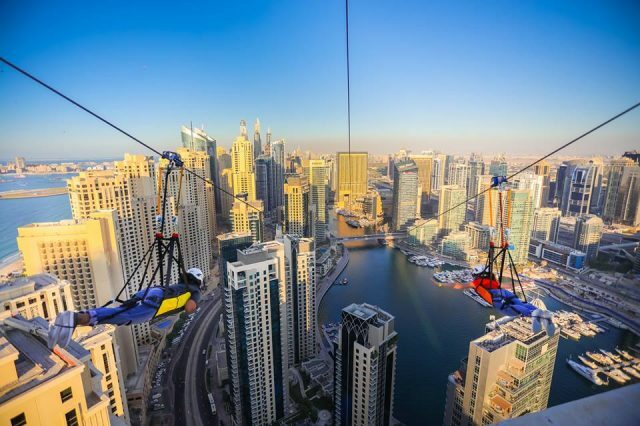 Want to go on a sky-high scenic tour of Dubai? 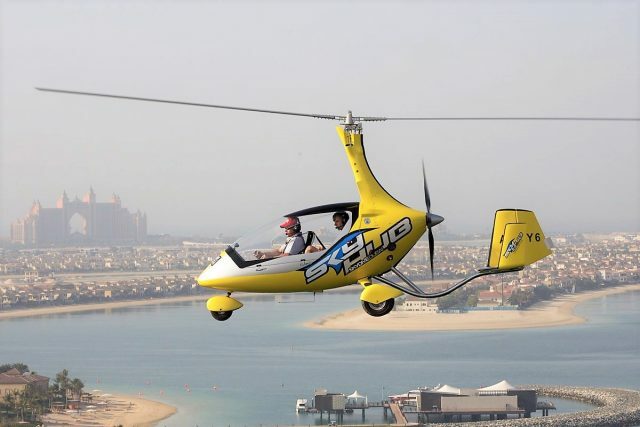 Skyhub Dubai’s Gyrocopter experience lets you do just that! The 20-min thrill ride will take you over the Palm Jumeirah and Burj Al Arab areas, as you enjoy 360 degree views of Dubai from up top! Looking for something a little different? Here’s a fun air adventure in Dubai to try, away from the bustling city centre. 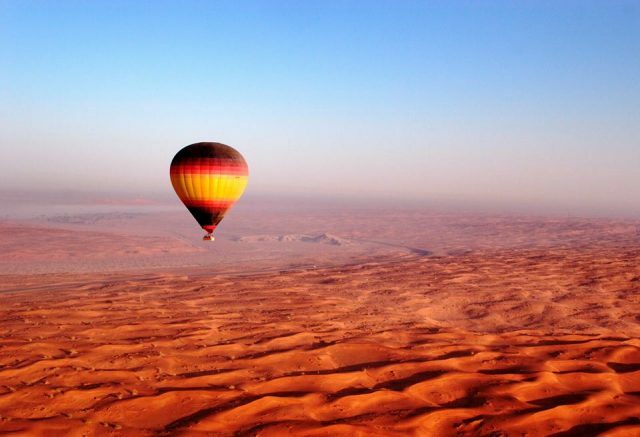 Balloon Adventures UAE invites you for a hot air balloon adventure above the Dubai desert! You’ll have to wake up super early for this one, but the incredible views from the sky make it worth the effort! If you don’t suffer from acrophobia (fear of heights), you need to try the XLine Dubai Marina! Get your adrenaline-junkie bestie along, and get ready to fly Superman-style down this awesome new zipline in Dubai. You’ll be soaring past Dubai Marina’s skyscrapers and over the marina at speeds of up to 60kph! We sent our Editor-in-Chief down the XLine and here’s what happened.. Whether you want to take a solo tour, or fly alongside your adventure buddies, the Skyhub Paramotors is an experience you’ll never forget! 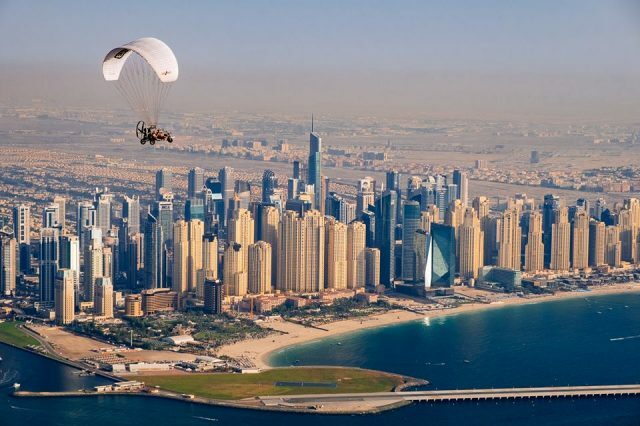 Attached to a parachute, the airborne vehicle takes you on a scenic tour of new Dubai, or over the Dubai desert dunes. If you’re up for a crazy adventure, ask your pilot to show you some adrenaline-pumping tricks and spirals in the sky! Looking for more crazy adventures? Here are the top spots to go kayaking in the UAE. Alternatively, here are 5 awesome new attractions in Dubai that are budget-friendly too! previousExplore Old Dubai on the Dubai Abra for Just AED 1!